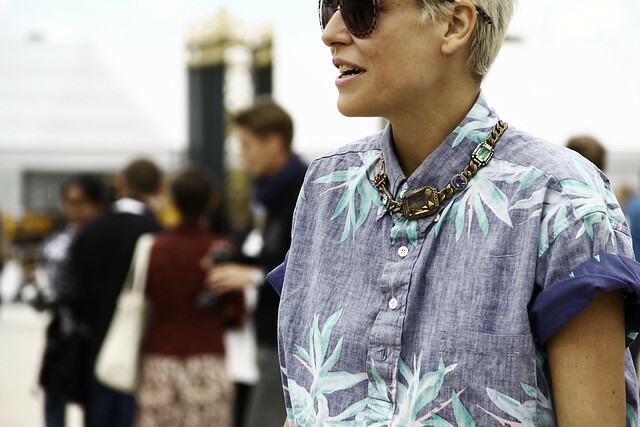 Mode Junkie: AT THE TUILLERIES, PARIS FASHION WEEK STREETSTYLE. AT THE TUILLERIES, PARIS FASHION WEEK STREETSTYLE. these are shot outside the viktor & rolf show. i had such a blast chasing these guys who to be honest with you some i actually did not know and squeezing myself in amongst the sea of streetstyle photographers. sometimes being tiny has its perks too. everyone looked amazing and i felt kind of out of place in this circus called paris fashion week. i am so glad though to have been given an opportunity to experience this but i am SOO glad to be back in my humble apartment wearing my jogging pants, watching tv with my kid, my hair in a bun and just don´t care about fashion at all. so excited to be back in february! must have been a crazy and wonderful experience, congrats!! Love the details on the first picture, would be great to find the whole look! Amazing looks! Those people got such great styles. Love the Kenzo Sweater and the heels. I need that Kenzo sweatshirt! it is s cute! Those photos are so great! Beautiful! You didn't look out of place at all to me, again, I wish I would've asked if it was you... I would have loved to meet you in person! I love look (part of the look) from first picture! Très belle source d' inspiration merci . I love love LOVE these street style shots, so beautiful! 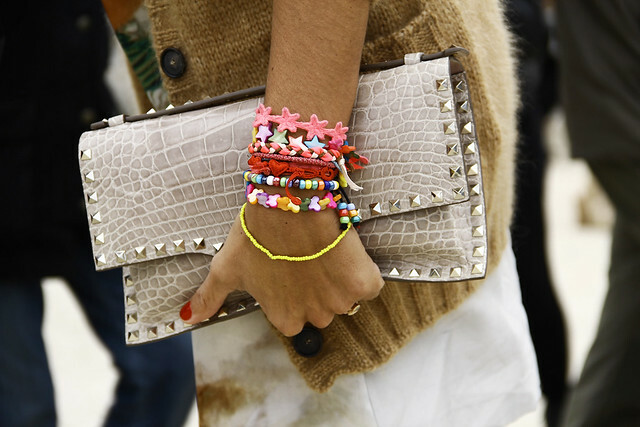 Loving all the studded details! I love all the shots you took! They look very professional! Ahh Viktor and Rolf, LOVE them, did you go the show as well!! Great pics. Really like the outfit from the black haired woman with the triangle shapes on the turtleneck and the maxi black/white skirt!! thanks for the lovely pics! This is exactly why I love fashion week so much: you get to see the craziest, yet most stylish outfits ever!